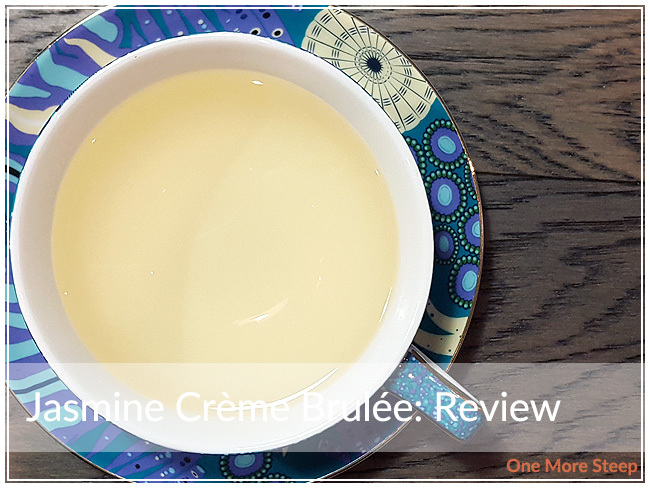 My first exposure to Jasmine Crème Brulée was as an iced tea sample in-store when it was the Tea of the Month – which is also the reasoning for the packaging. I actually bought the bag after it was the Tea of the Month, which meant this pouch was on sale because there was a new TotM. It was a bit of a perk, since it can be hard sometimes to get tea on sale – especially a tasty one. The dry leaf of Jasmine Crème Brulée smells like vanilla custard with floral notes and some fruity hints somewhere in there. The ingredients in Jasmine Crème Brulée are as follows: apple, jasmine tea, rosehip shells, pineapple, sweet blackberry leaves, marigold flowers, natural and artificial flavouring. 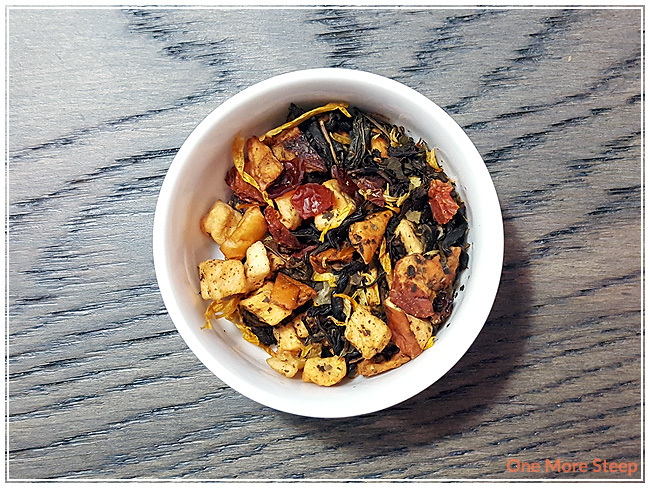 Like a lot of tea blends, I found that the smaller ingredients tended to settle at the bottom, so I had to give the bag a good shake to redistribute the ingredients again in order to get a spoonful that had the green tea in it. DavidsTea recommends steeping Jasmine Crème Brulée in hot water for 3 to 5 minutes. I really do wish that they would go back to listing actual temperature values. I used the green tea setting on my Breville IQ Kettle and did an initial steep of Jasmine Crème Brulée at 79°C (175°F) for 3 minutes. Jasmine Crème Brulée steeps to a light golden yellow. There’s a nice jasmine/floral aroma that comes up from the tea, as well as something that definitely reminds me of a vanilla custard. I’m not sure how much of the green tea I actually taste, but this blend has a nice floral taste to it, some vanilla notes, and I’m not sure how much of the fruit ingredients I’m tasting. There’s a delicate creaminess to Jasmine Crème Brulée that has a nice buttery quality to it, which may be why it got its name. When steeped for 3 minutes, there was no astringency or bitterness from the green tea. I iced some of the Jasmine Crème Brulée to try it cold and found it to be quite refreshing. I think this is one of those teas that does well both hot and iced. There was enough sweetness to it that I didn’t find myself needing any sweetener for either the hot or iced tea. I resteeped Jasmine Crème Brulée twice, adding an extra 30 seconds for each subsequent steep. 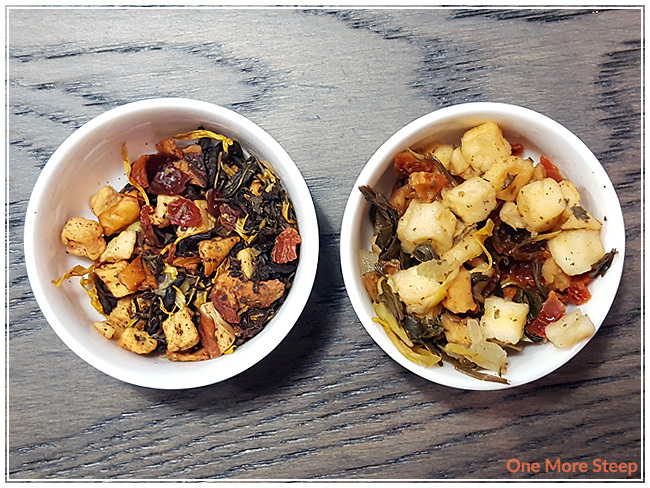 I found the first resteep was quite similar to the initial steep in terms of the depth of flavour, while the second resteep was lacking some of that sweetness but was still palatable. 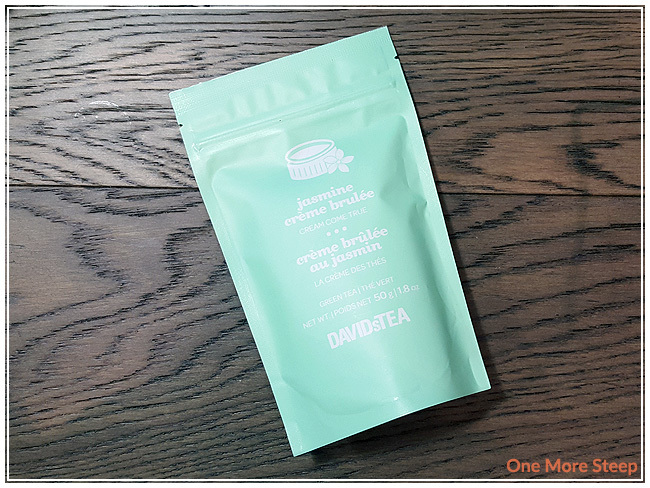 I loved DavidsTea’s Jasmine Crème Brulée. I really enjoyed the flavour profile of this green tea blend with the floral notes and the vanilla custard flavours. 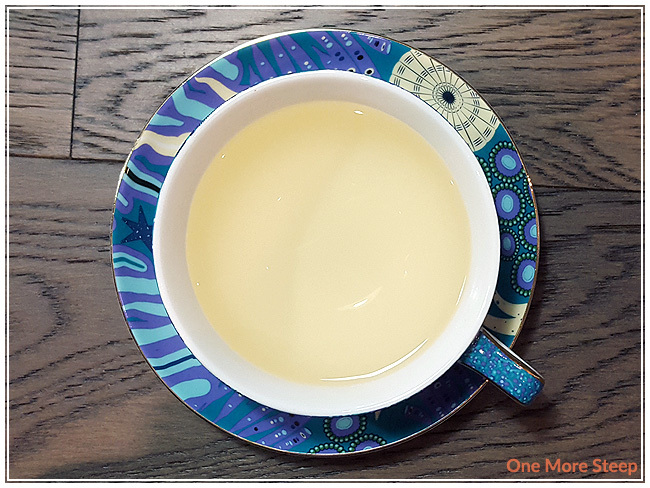 The creaminess and buttery qualities of this tea make for a great mouthfeel and there’s a nice sweetness to it. I found this tea equally enjoyable for both hot and iced. I think it’d be a great candidate for cold steeping so you don’t accidentally oversteep the green tea.